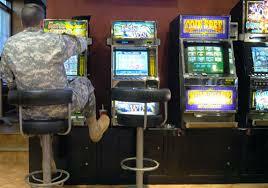 Military slot machines rake in millions but none of that money goes to supporting soldiers with gambling problems. 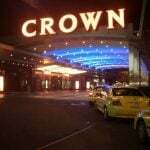 As such, Senator Elizabeth Warren (D-MA) has demanded a report be conducted by the Governmental Accountability Office into whether recourses are needed to help US servicemen who are battling gambling addiction. This comes after the revelation that the Department of Defense operates some 3,000 slot machines at US military bases across the world that yield estimated annual revenues of $100 million per year. The US Senate this week adopted an amendment to the National Defense Authorization Act in order to pave the way for the study. 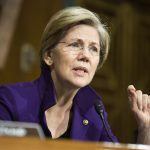 “If the military is going to operate gambling facilities that bring in tens of millions of dollars in revenue, it also needs to ensure there is adequate prevention, treatment, and financial counseling available for service members struggling with gambling addictions,” said Warren. 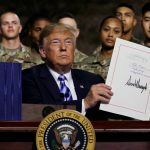 “By examining the risk of problem gambling among service members and the resources currently available, this amendment is an important first step in helping members of the armed forces and their families who are affected by problem gambling,” she added. Despite the millions that slot machines bring in each year to Defense Department coffers, and the millions more generated by bingo games, it has never established any form of treatment program or prevention efforts to help combat gambling problems among its servicemen and women. Meanwhile, studies have consistently found that members of the armed forces are at a higher risk of pathological gambling than the general population. According to the National Council on Problem Gambling, around 36,000 active-duty members of the military meet criteria for a gambling problem. A study by the University of Georgia recently reported that rates of pathological gambling and problem gambling was much higher than average among veterans, military recruits and current service members. “Research suggests that Military personnel are at risk of experiencing negative consequences as a result of gambling related issues such as stress from financial debts, which may have a negative effect on military readiness,” the study said. “Furthermore, military and veteran populations are more prone to substance abuse, mental health problems, and suicide, all of which are highly co-morbid with problem gambling. 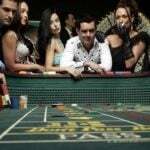 The study concluded that problem gambling is associated with increased risk-taking and overconfidence, while combat experiences, including exposure to violent combat, killing someone, and experiencing high levels of trauma, predicated a greater risk-taking propensity on return from deployment.